The Naomh Mearnóg that we now know is the culmination of a long and varied association with Gaelic games in the Portmarnock area. Although the current club came into existence in 1975, the St. Marnock’s team of the 1920s and ‘30s proved an early forerunner after the nearby Innisfails GAA team embarked on a brief hiatus. Operating in the area now known as Old Portmarnock, St. Marnocks were one of the early luminaries of the north Dublin Gaelic football scene. The team won numerous honours in its first few years, including two Fingal League titles and a Fingal Championship, before the crowning glory of the Dublin Junior Football Championship was added to the roll of honour in 1936. The team was also known for its competitive participation in various regional tournaments, but, as with so many clubs of similar size around the time, found it increasingly difficult to field full teams, and was eventually discontinued. Decades passed before the new Naomh Mearnóg GAA club was conceived at a meeting in the North Coast (now Sands) Hotel in 1975. The founding members immediately set to work in structuring the new entity, and Paddy Doherty was subsequently appointed as inaugural chairman. An adult football team under the stewardship of the inimitable Patsy Haran was established soon after, with under 11 and under 13 sides also set up. John Joe Lane took the managerial reins of Portmarnock’s first ever adult hurling team as the club broadened its appeal to GAA fans of all backgrounds, and their early pioneering efforts soon bore fruit as the hurlers brought home a first ever piece of silverware with Miller Shield victory in 1978. 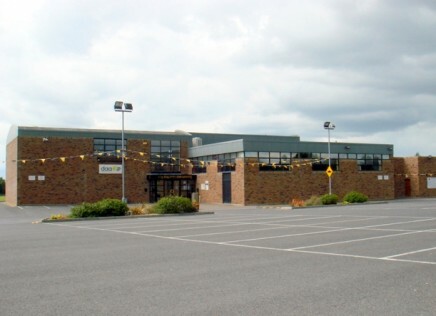 The club continued to expand from there, reaching numerous important landmarks before it welcomed the new Millennium with the opening of a brand new clubhouse and pitch complex in 2000 in what was a momentous leap forward for everyone involved in the local GAA scene. Naomh Mearnóg continues to prosper and thrive to this day, and is one of few clubs in Dublin that has participants in all four senior games departments- football, hurling, ladies’ football and camogie. A flourishing juvenile section has also developed in the last few years, and activities such as the club’s Social Initiative outline its continued dedication to the enrichment of the local community as a whole. Last few remaining tickets for our Hog Roast evening on Saturday the 4th of May. Tickets are available for purchase from the club bar, John Fahy or Kate Neville. We look forward to seeing you all then.